Should We Remove the "Israel Filter" When Studying the Middle East? It's Worth Trying. Home / Topics / History / Should We Remove the "Israel Filter" When Studying the Middle East? It's Worth Trying. Maybe I am a little different than the average Jewish college student who studies the Middle East. I focused more on Arabic than Hebrew. I studied abroad at American University of Cairo instead of Hebrew University. Still, I believe there is a time and a place for discussing Israel’s place in the Middle East, and when the talk isn’t directly about the Jewish state or the conflict surrounding it, it shouldn’t be brought up into the classroom. 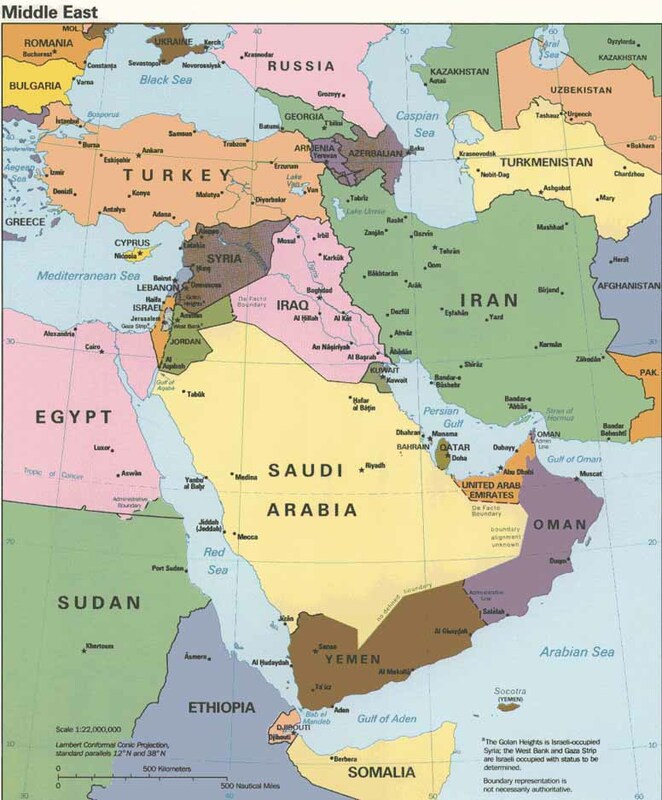 The Middle East is, in my opinion, one of the most fascinating places in the world. The three Abrahamic faiths—Judaism, Christianity and Islam—were founded there. Great empires that have made amazing contributions to society rose and fell there. Today, the region is in the middle of the Arab Spring, where citizens of autocratic countries are taking to the streets to protest the current regimes. This is where what I like to call the “Israel filter” comes in. This filter is the either conscious or unconscious attempt to steer a classroom conversation towards Israel or the Arab-Israeli conflict. Additionally, the “Israel filter,” like its cousin, the “Palestine filter,” can become a platform for the person to voice their views on the conflict or the state itself. You don’t just see these “filters” in action in the classroom, but also on the news. As I watched my friends protest in the streets of Cairo, most of what I heard from commentators on major U.S. networks was, “How is this going to affect Israel?” and less of “Can the Egyptian People change the system that’s been in place for the past 30 years?” In the end, it’s important to discuss whether or not the Camp David Accords will stay in place, but any event before Hosni Mubarak’s resignation on February 11th did not merit Israel as the primary discussion with regard to the Egyptian protests. Though Israel and the Arab-Israeli conflict are integral part of the study of the Middle East, there are other equally interesting parts of the region worth studying. Be it, the rise of Arab Nationalism, the rise and fall of the Ottoman Empire, or the Iranian Revolution, all are intriguing. While each may have some connection to Israel at some turns in history, these periods are not dictated by their relationship to Israel. That in itself brings up a conundrum. How can I, someone who is Jewish and who cares about Israel, say that Israel is not the most important part of the study of the Middle East? It is important—most of the wars fought in the Middle East have involved Israel—but purely focusing on the conflict or who has the right to the land in the region limits not only the study of the region but also the college student’s view of the Middle East. Learning why Gamal Abdul Nasser, the president of Egypt from 1956-1970, was so popular in the Arab World, or why Lebanon is prone to frequent instability, does not run the risk of hindering the student’s learning, but broadens it. The saying of “two Jews, three opinions,” rings true here because it isn’t wrong to hear both sides of the story of 1948 or 1967 or 1979. What matters is that you come to your own conclusion over which version is correct. Sometimes there is no right answer. At the end of the day, Israel can be an important part of Middle East discourse, but not the only part. It cannot, and should not be the center of every Middle East discussion. If one is interested in both Israel and the Greater Middle East, there are several ways that will lead to a much more productive academic discourse. First, know when is an appropriate time to bring Israel into the class conversation. If there is not a time, then the student should bring up the question after class. Additionally, one of the wisest pieces of advice that someone gave me was, when it comes to the classroom discussion leave your preconceptions and personal opinions at the door. Subjective questions and commentary hinder healthy discussion. It makes the classroom hostile to reason and objectivity. Occasionally, it even alienates the student from others. I have heard stories of Jewish students derisively nicknamed “the AIPAC monitor” behind their backs. It’s not necessarily a nickname to be proud of. At the end of the day, this is just my opinion, but I know that having removed my own “Israel filter” has helped me learn a lot in the past four years at Brandeis. While the conflict is not necessarily an area I am interested in concentrating my studies on, I do know that it’s an area I want to work in. I believe that I understand what is happening in the region and how or why it affects Israel, because I moved away from studying the conflict and Israel as a whole. I would like to think that broadening my perspective makes me want to work that much harder for bringing peace to the region. If you disagree please say so in the comment section. A civil conversation is required urgently. This is ridiculous. If a student cares about Israel personally and/or academically, then of course he/she should bring it up when the Middle East is being discussed. I mean, there are obvious exceptions – there’s no need to bring Israel up during a class on medieval Persian poetry. But the modern Middle East? Absolutely relevant. And you’re obviously not leaving your “personal opinions and preconditions at the door” when you whine about AIPAC. Students who believe that Israel’s security and prosperity are the most important issues in the Middle East today have no reason to do so, either.